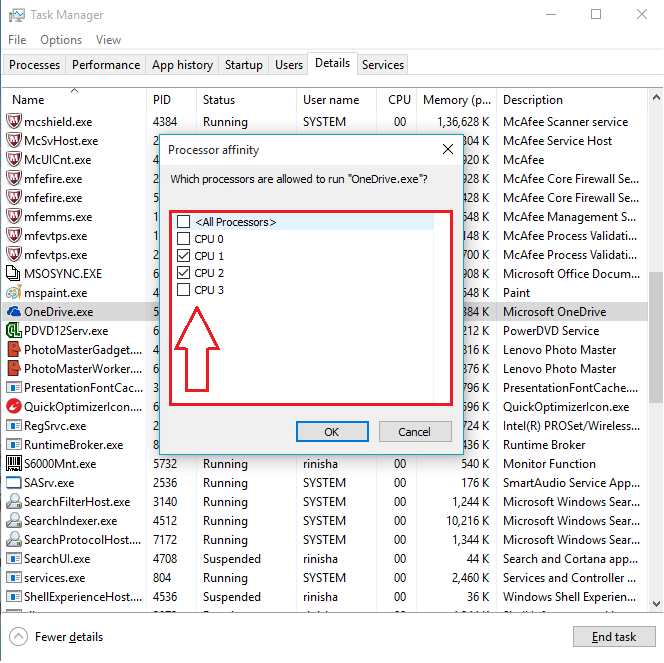 How to Set affinity for an application on windows 10: – It doesn’t really matter whether you have a single-cored processor or a multi-cored one. What matters is how you set up your programs in such a way that the processor utilization is always efficient. Let’s take the case of our processor being quad-cored. A single application could be run by all the four cores at the same time. Don’t worry, though. 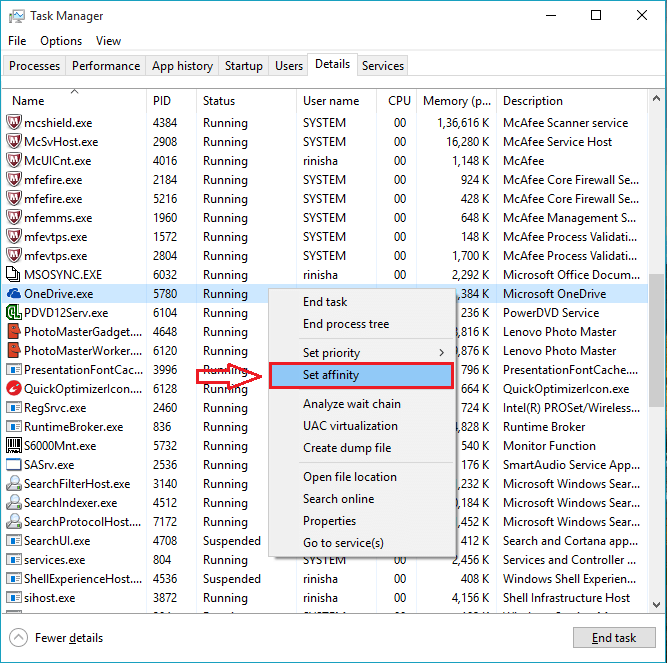 This problem can be easily solved by setting affinity for an application on CPU. This simply means that you can actually assign processor cores to specific tasks as per your choice. You can determine which processor core should do which task and so on. If you take the case of an anti-virus software scanning your system, you might often have noticed the entire system slowing down. This could be because all the cores of your processor might be busy running this single application. Read on, to learn how to maximize your system performance by efficiently utilizing the processor cores through affinity assignment. First of all, find an empty space on your taskbar and then right click on it. Now from the menu that appears, find and click on the option named Task Manager. 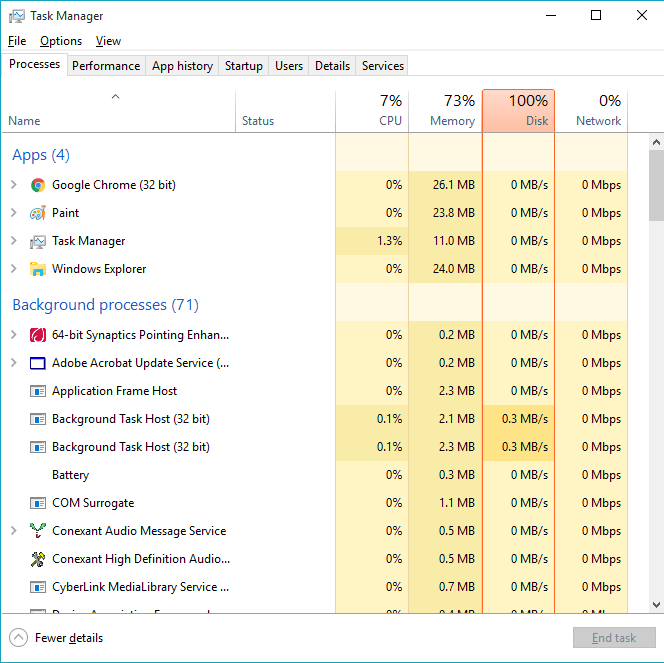 Now a new window named Task Manager opens up as shown in the screenshot given below. It has various tabs namely Processes, Performance, App history, Startup, Users, Details and Services. It is the Details tab which we use to set the affinity for an application. When you click on the Details tab, the list of applcations will be shown to you. You have to find the application of your choice by scrolling up/down or by pressing the key combination CTRL+F to search using the search bar. Once you find the application, right click on it. From the context menu that appears, choose the option named Set affinity. A small window named Processor affinity opens up as next. Here you can check the cells corresponding to different CPUs. The cells corresponding to the processors which are allowed to run the specific application that you have chosen are to be checked. If you are okay with all the processors running the application, check the box corresponding to All Processors. That’s it. Now you can stop worrying about all your processor cores concentrating on getting a simple job done. Try out this trick today itself and improve your system performance. Hope you found the article useful.